Whether you are portraying a local hero or fighting the shambling hordes, this 27 Inch Fireman LARP Axe is an excellent choice. The classic red axe head with pick spike sits on a blond curved handle with simulated woodgrain texture. Crafted from dense latex foam with a unique fiberglass fusion core, this spiked LARP axe is lightweight and extremely flexible. The durable latex construction with painted details provides a realistic look for any cosplay or theatrical production. 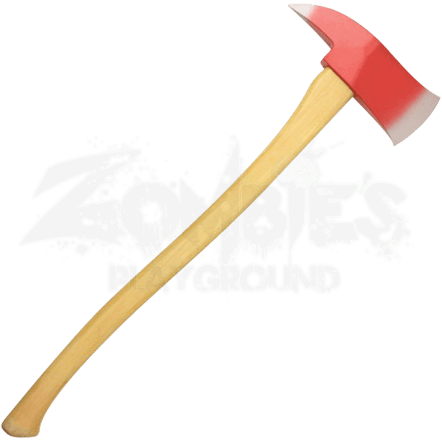 The long axe handle is versatile for one or two handed grips. With a classic design, this 27 Inch Fireman LARP Axe is suitable for light sparring.